20pcs White,Green Propellers for Cheerson CX10 4CH 2.4G RC Quadcopter by uptogethertek at Open Drone. Hurry! Limited time offer. Offer valid only while supplies last. With high quality, easy to install and assemble super balance with stable performance giving you the perfect solution for propeller use. Suitable for cheerson cx-10 mini 4-axis rc quadcopter color: white,green. 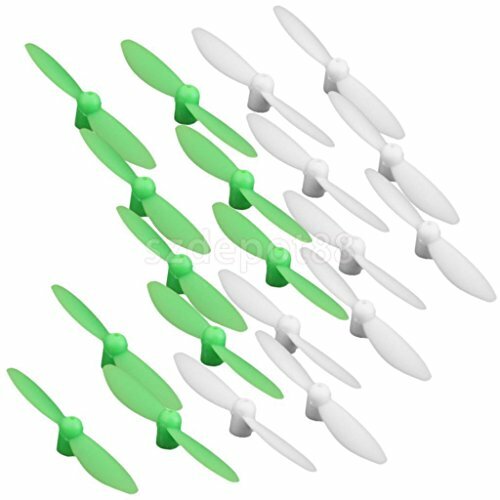 Package includes: 10 x white propeller blades 10 x green propeller blades.